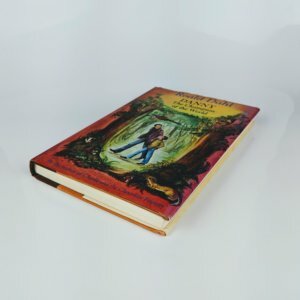 Alice's Adventures in Wonderland By Lewis Carroll Limited Edition (New York The Limited Editions Club, 1932). Illustrated by John Tenniel. One of 1500 copies to be signed and numbered by designer Frederic Warde, of which this is number 1011. Head and foot of spine a little rubbed; light foxing and marginal browning to front pastedown with very faint foxing to endpaper and to rear pastedown. Illustrated frontispiece and title-vignette with several in-text illustrations; all edges gilt; original red morocco gilt. An excellent, near fine example. 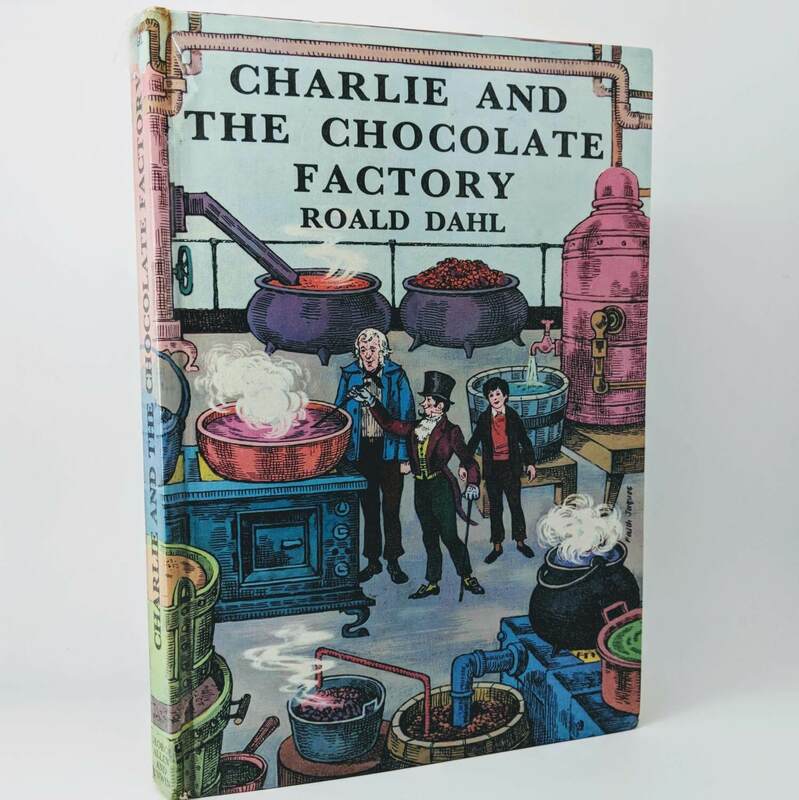 Charlie and the Chocolate Factory By Roald Dahl UK First Edition, First Impression (George Allen & Unwin, 1967). Illustrated by Faith Jacques and originally published in the US three years earlier. No jacket as issued. Laminate has lifted to top and bottom of spine, as is common; a little rubbing to spine tips; edges lightly toned; very small bump to corner of upper board with a ding to top edge; barely perceptible scuff mark to lower board and faint writing impression to upper board; name inscription to front pastedown has been scribbled out; a little abrasion to top corner of front endpaper with writing impression. A very good example, nonetheless. 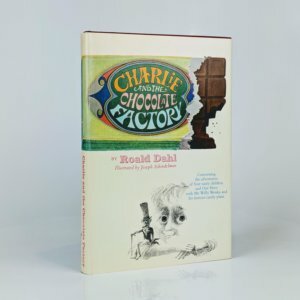 Charlie and the Chocolate Factory By Roald Dahl US first edition, first impression (Alfred A. Knopf, Inc., 1964) with six-line colophon on the final page, as opposed to the five lines corresponding to subsequent impressions. 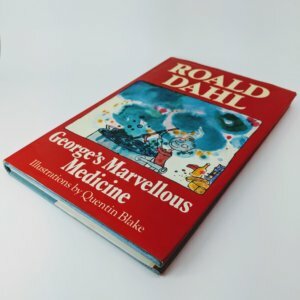 Signed, inscribed and dated by the author to a bookplate affixed to the title page: 'With lots of good wishes, Roald Dahl 1974". Precedes the UK edition, which was published three years later. Rare in this condition bearing a unique inscription from the author. Slight pushing to spine tips with some residue to front endpaper from a removed bookplate; boards in very fine and clean condition indeed, as are contents - near fine. 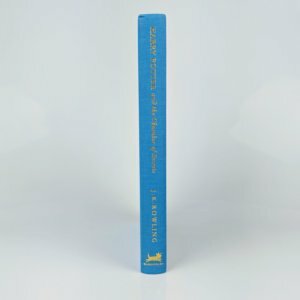 Original and unclipped dust jacket (bearing price of $3.95) has very minor and occasional traces of wear to top edge; a couple of very small areas of mild rubbing to spine panel; small and unobtrusive scratch to rear panel - near fine or better. A beautiful, near fine copy overall. 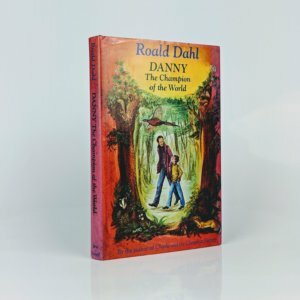 Danny The Champion of the World By Roald Dahl American first edition, first impression (Alfred A. Knopf, 1975). 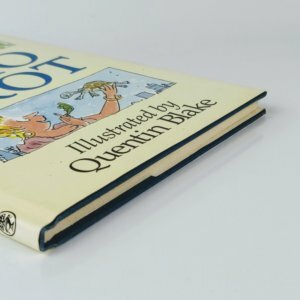 Signed by the author with dedication on a slip affixed to the front endpaper: 'To Kenny, Love Roald Dahl". Bottom corners of upper and lower boards a little rubbed with mild bumping to spine tips. Original and unclipped dust jacket has some light edge wear, mainly to top; slight sunning to spine panel. Very good overall or a little better. 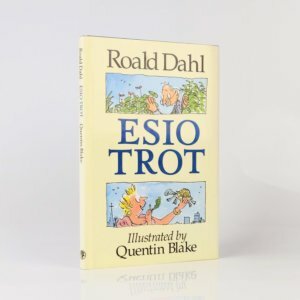 Esio Trot By Roald Dahl First edition, first impression (Jonathan Cape, 1990). Fine book, free from any bumping marks or inscriptions, in a near fine dust jacket with a touch of fading to the spine panel. An excellent copy. 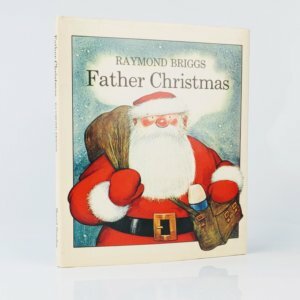 Father Christmas By Raymond Briggs First edition, first impression (Hamish Hamilton, 1973). Near fine book with a small area of abrasion to bottom corner of rear endpaper. 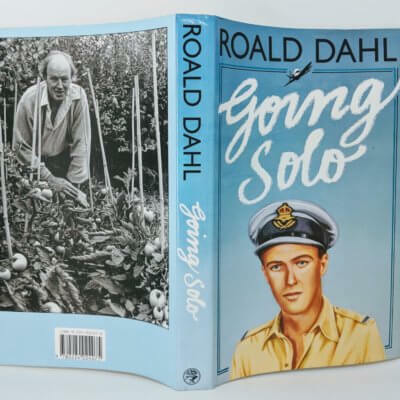 The original and unclipped dust jacket very slightly yellowed with mild edge wear. Rare. An excellent example. 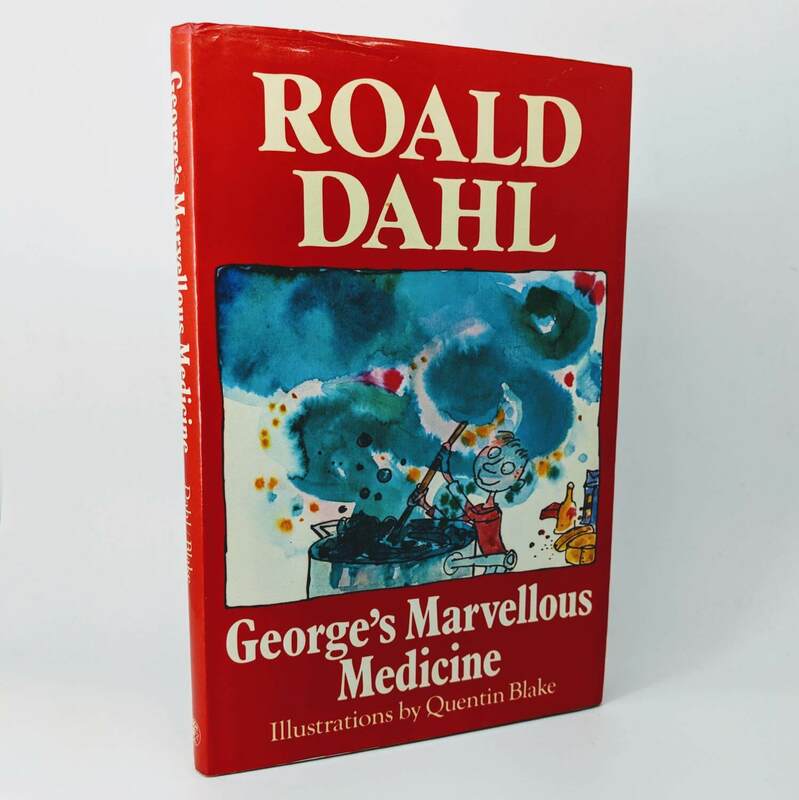 George's Marvellous Medicine By Roald Dahl First Edition, First Impression (Jonathan Cape, 1981). 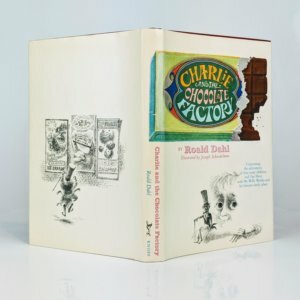 Signed by Road Dahl to a cut signature slip affixed to the title page. Spine ends and bottom corner of front board bumped; light foxing/soiling here and there to edges. Original dust jacket is price-clipped with a little wear to extremities. 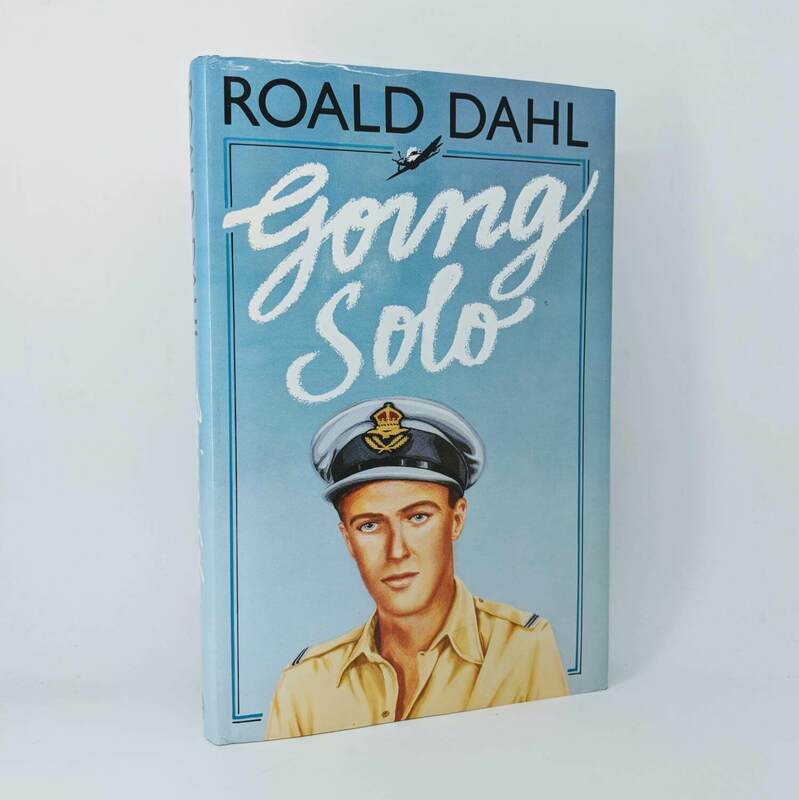 Going Solo By Roald Dahl First Edition, First Impression (Jonathan Cape, 1986). 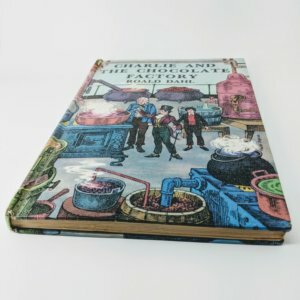 Warmly inscribed and dated by Roald Dahl to half-title: 'Happy 95th Birthday to my very old friend Alan, Love Roald Dahl 1987'. Due to be adapted to film. 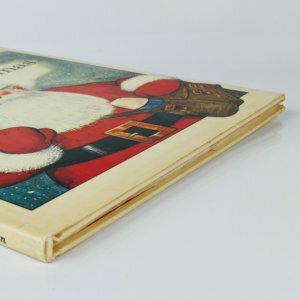 Book a little bumped to spine foot, bottom corners of upper/lower boards and to top edge of lower board; rubbing to top edge of lower board; gift inscription to verso of front endpaper. Dust jacket is price-clipped with a little wear to spine tips. An excellent example overall. 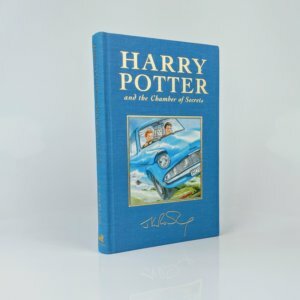 Harry Potter and the Chamber of Secrets By J.K. Rowling First edition, first impression of the Deluxe Edition (Bloomsbury, 1999). The title was originally published the previous year. A couple of small and faint marks to upper board with a trivial hint of a knock to spine head, fine otherwise. A great example. 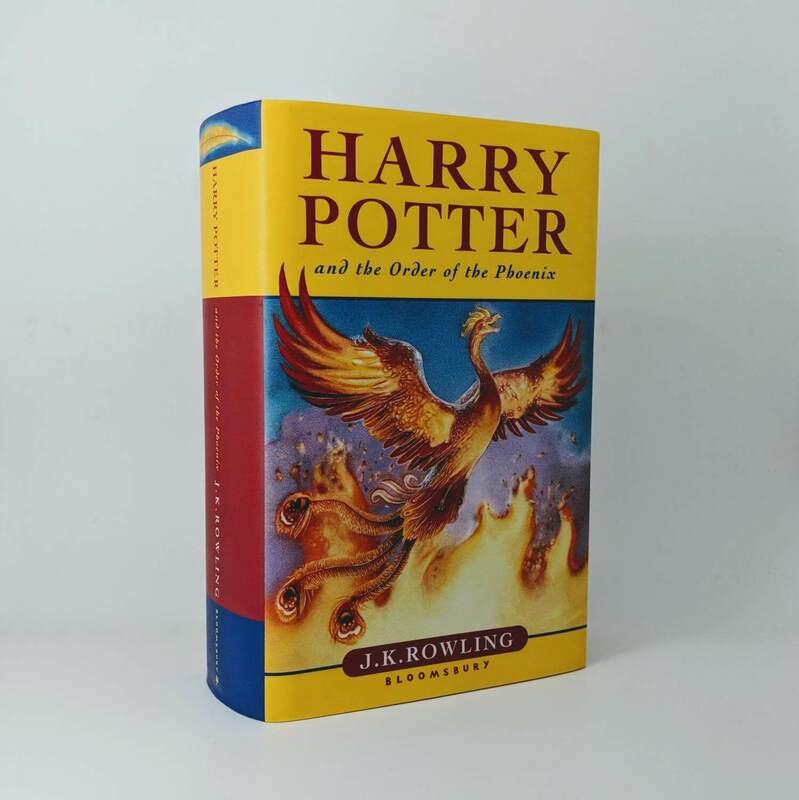 Harry Potter and the Order of the Phoenix By J. K. Rowling First edition, first impression (Bloomsbury, 2003). Signed by the author to the title page. Cover illustrations by Jason Cockroft. 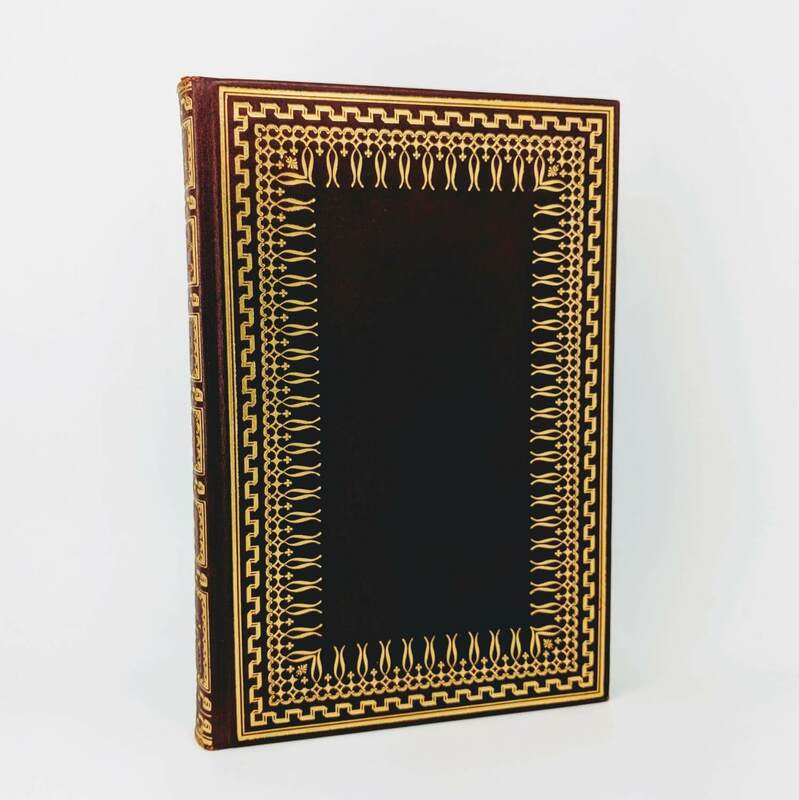 Fine in a fine dust jacket with minimal traces of wear to top edge. 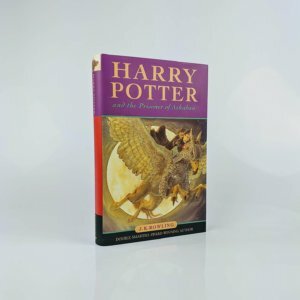 A fine example of the fifth book in the Harry Potter series. 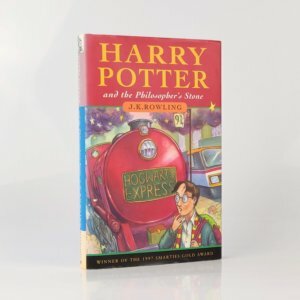 Harry Potter and the Philosopher's Stone By J. K. Rowling First edition, third impression (Bloomsbury Publishing, Plc, 1997). 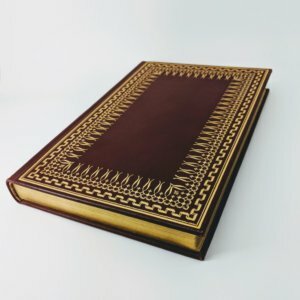 The first and second impressions were issued without dust jackets, making this the first to have one. Original pictorial boards with a small ding to top edge of lower board, fine otherwise. The original and unclipped dust jacket has some fading to spine panel - as is common - and mild edge wear; fairly inconspicuous damp stain to top of dust jacket verso. Overall a very good copy indeed or better. 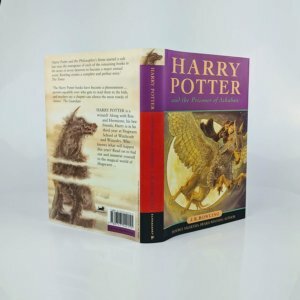 Harry Potter and the Prisoner of Azkaban By J. K. Rowling First edition, second state with 'J. 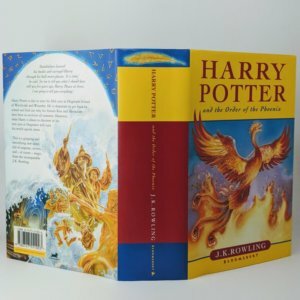 K. Rowling on copyright page, as opposed to 'Joanne Rowling' corresponding to the first state (Bloomsbury,1999). Fine with just a minor ding to bottom edge of upper board in a fine dust jacket. 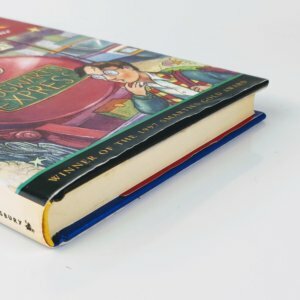 A superb, bright example of the third Harry Potter novel, which presents as unread.